Opulent All Seeing Eye Crème is a thick, rich, luxurious crème that effortlessly sinks into skin and is specially formulated to nourish the tender skin around the eyes. All Seeing Eye Crème is made by whipping herb-infused jojoba, tamanu, shea, borage and avocado oils with refreshing rosewater and aloe vera. We then infuse this mixture with an entire palette of nourishing essences to soothe and infuse the delicate skin around the eyes. Dry skin, fine lines, and wrinkles will enjoy an influx of moisture with this caring crème, which is perfect to wear under make-up (and may also be graced upon the entire face). For a super-silky nighttime treat combine a diminutive dollop of All Seeing Eye Crème with a drop of Open Sky Eye Serum to redux the appearance of dark circles, puffiness and fine lines and wake up feeling renewed. JOJOBA OIL (Simmondsia chinensis) – Glorious, golden jojoba nourishes and conditions thirsty skin. Jojoba has unparalleled ability to moisturize the skin, balance oil production, deep clean pores, and create long-lasting conditioning effects that soften skin to perfect silk. It is packed with peptides and lipids and contains the highest levels of phenolic compounds found in nature along with all soluble forms of vitamin E! TAMANU OIL (Calophyllum inophyllum) – Enchanting tamanu is a regenerative berry oil that is easily absorbed deep into the skin to keep moisture in and protect the skin from dryness. Tamanu is said to even skin tone and reduce the appearance of scars. Even for a fatty oil, it has a high (92%!) lipid content. AVOCADO OIL (Persea americana) – This beloved fruit is bountifully beneficial for the skin. 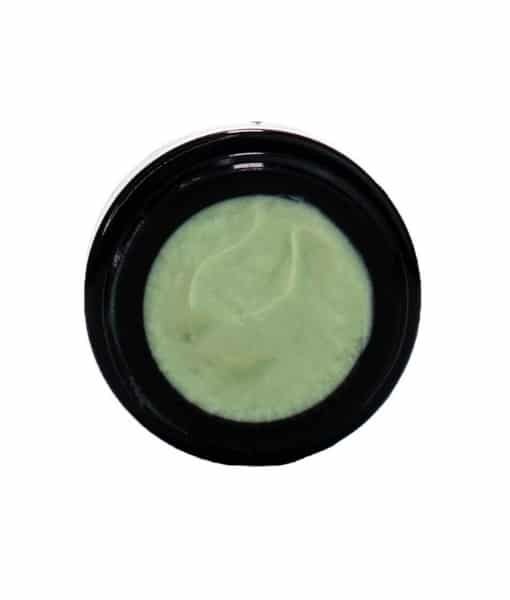 Avocado Oil is lush in lipids providing moisturizing manna especially for softening the appearance of fine lines that can define the delicate tissue around the eyes. BORAGE OIL (Borago officinalis) – Beautiful blue starflowers blossom from the Borage plant, whose seeds restore moisture and smoothness to the skin. Borage is filled with GLA, an essential fatty acid that is bountiful succulence for skin. SHEA BUTTER (Butyrospermum parkii) – Shea butter is made from the African Shea nut tree, which has been used by African people for centuries both to often the skin and to shield skin from the elements. Shea butter replenishes the skin while providing deeply moisturizing benefits. Shea butter is a lavish lipid that brings a healthy glow to the entire eye area. CAPE CHAMOMILE (Eriocephalus punctulatus) – Captivating cape chamomile’s exudes a beautiful, fine fruity-floral fragrance that is one of our favorite aromas. Cape chamomile has a high content of rare ester and azulene compounds that impart a teal blue hue to soothe all manner of skin imbalances. This rejuvenating essence balances sebum and softens the appearance of scars, and spots. BLUE TANSY ESSENTIAL OIL (Tanacetum annuum) – The beautiful, blue-hued color of our All Seeing Eye Crème is thanks to an infusion of Blue Tansy oil. The high azulene content of this oil makes it prime and sublime for skincare. Blue Tansy has a deliciously sweet herbaceous aroma and enhances relaxation while soothing the appearance red, dry, or cracking skin. CARROT SEED ESSENTIAL OIL (Daucus carota) – Queen Anne’s lace anoints your face with queenly grace. Carrot oil balances oil production in pitch perfect ratios, regardless of your skin’s current state. Oily, dry, and combination skin can all benefit from the replenishing power of carrot seed. FRANKINCENSE ESSENTIAL OIL (Boswellia carteri) – Sacred frankincense is the pièce de résistance of skincare! The appearance of skin becomes radiant as it relaxes redness, firms and infuses complexions with copious fortification. Excellent for reducing the appearance of scars and age spots. ROSE OTTO ESSENTIAL OIL (Rosa damascene) – Rose otto offers oh-so-much-more than an ambrosial aroma. This elegant and precious essence is a fortifying tonic. It takes sixty roses to make a single drop of rose otto essential oil! This regal botanical adds resiliency, elasticity, and moisture to the skin to minimize imbalances and give skin a rosy glow. 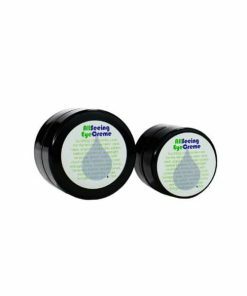 It reduces the look of scars and spots, and it also smells amazing! EYEBRIGHT HERBAL INFUSION IN JOJOBA (Euphrasia officinalis)– Known for its affinity for the skin around the eyes and toning complexions. LAVENDER HERBAL INFUSION IN JOJOBA (Lavandula angustifolia) – Lovely lavender is a gentle-yet-powerful skin tonic that is restorative and calming. It relaxes redness and cools heat. Lavender can be used to improve the appearance of scars, even out skin tone, soothe acne, and balance the skin’s sebum levels. LEMON BALM HERBAL INFUSION IN JOJOBA (Melissa officinalis) – Lemon Balm is loved for its fragrant fresh-scent. 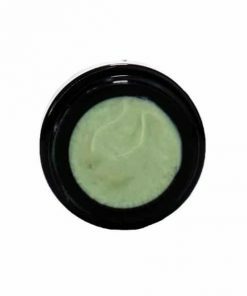 This calm, lemony herb is a balm to dull and dry complexions. MILKY OAT STRAW HERBAL INFUSION IN JOJOBA (Avena sativa) – Prized amongst herbalists for its gentle and compassionate nature. Marvelous milky oat straw is harvested when oat tops are filled with white milky fluid (before they become “oats”) and are highly nutritive. The veritable verve of this gentle restorative herb is a dose of delight for depleted, dry types. This herb is gluten free.